March Madness is like Christmas for college basketball fans and it always seems to live up to it’s name! From crazy upsets to nail biting buzzer beaters and overtimes, there is always some type of excitement (and heartbreak). This year, my team is playing in the National Championship Game! Go Hoos! The NCAA basketball tournament inspired this recipe, but I wanted to make a basketball version and a non-basketball version so that this could be enjoyed all year long for any type of gathering. Where do I find salted caramel baking chips? My grocery store carries them in the baking aisle in both a store brand and name brand. You can also always order them online from Amazon. If you can’t find salted caramel / sea salt caramel chips, you can also use regular caramel chips if you can find those. If all else fails, you could also use regular chocolate chips. What kind of caramel sauce do you use? Any thicker caramel sauce will work. 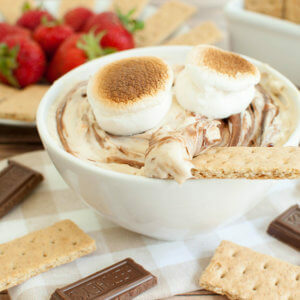 Ice cream topping is perfect. 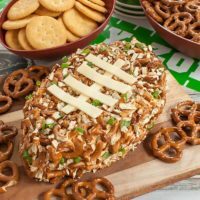 Can you make this cheese ball ahead of time? Yes, most definitely. 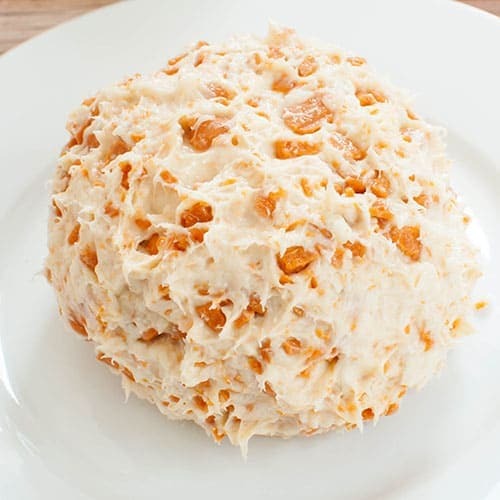 The cheese ball needs 2 hours to chill and can be stored for up to 3 days in the refrigerator. 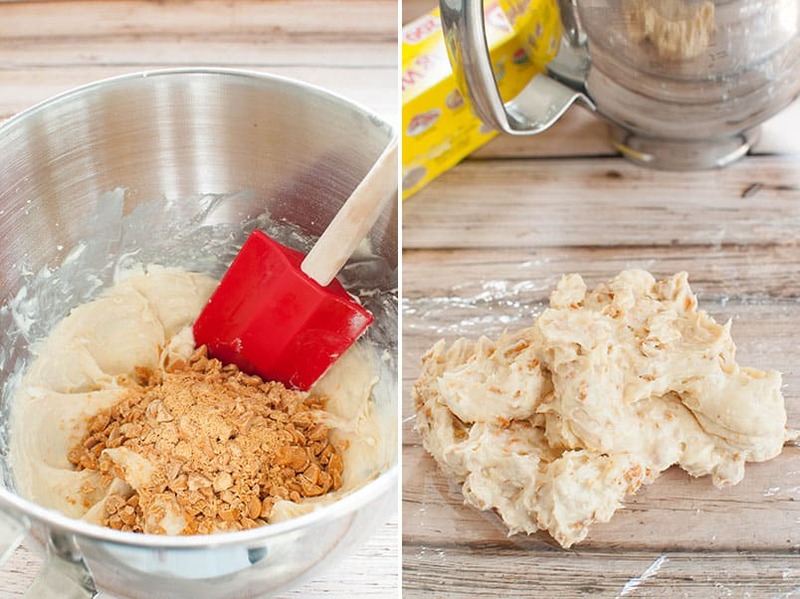 Step 1: Using a stand or hand mixer, beat the cream cheese until smooth. Step 2: While mixing, slowly add in powdered sugar. Step 3: Add in vanilla and caramel sauce and combine. Step 4: Fold in caramel chips. Step 5: Place mixture onto a sheet of plastic wrap. Step 6: Wrap mixture in plastic wrap. Step 7: Shape into a ball and chill for at least 2 hours. Step 8: Roll the cheese ball into the whole caramel chips until covered. Follow the same instructions as above, but don’t roll the cheese ball into the chips. 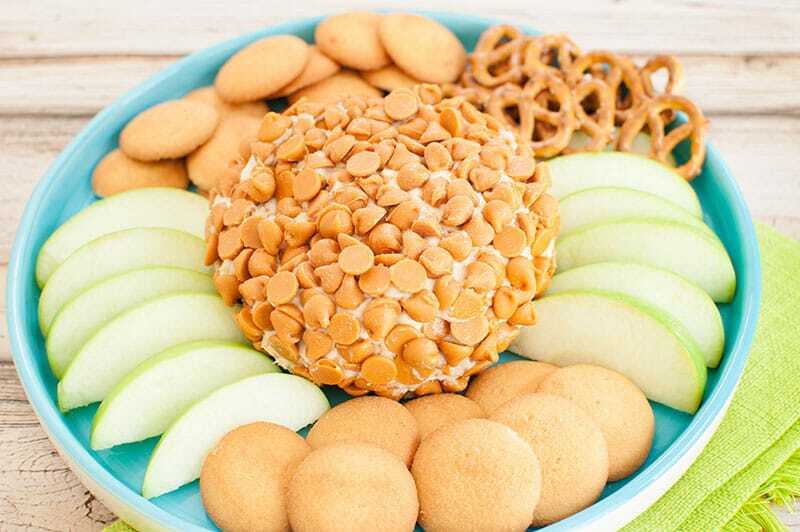 Instead, place the cheese ball on a plate and carefully push the chips into the cheese ball flat side down. I found it easier to place the chocolate chips on first for the ribs around the ball. 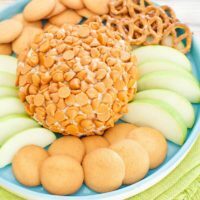 This no bake caramel cheesecake cheese ball with seat salt is bursting with sweet caramel flavor. 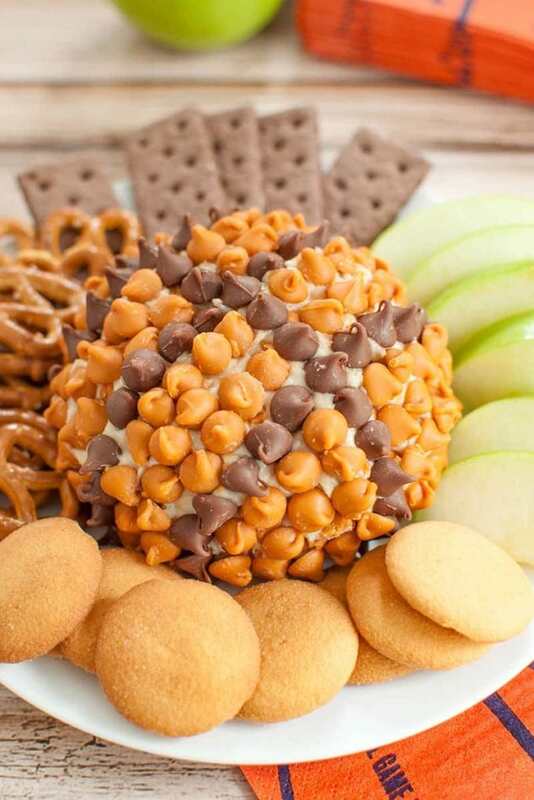 An easy, make ahead dessert idea or turn it into a basketball dessert for your game watch party or even a kid's birthday party idea. Beat cream cheese using a mixer on low speed until creamy. Slowly add in the powdered sugar and continue mixing. 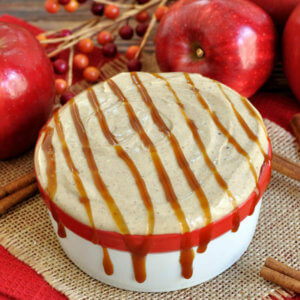 Add caramel sauce and vanilla and mix until combined. Fold in the chopped baking chips. Lay out a piece of plastic wrap and scoop the cheese ball mixture onto the plastic wrap. Pull up the sides of the plastic wrap and cover with an additional piece of plastic wrap. Shape into a ball and chill for 2 hours or until firm. 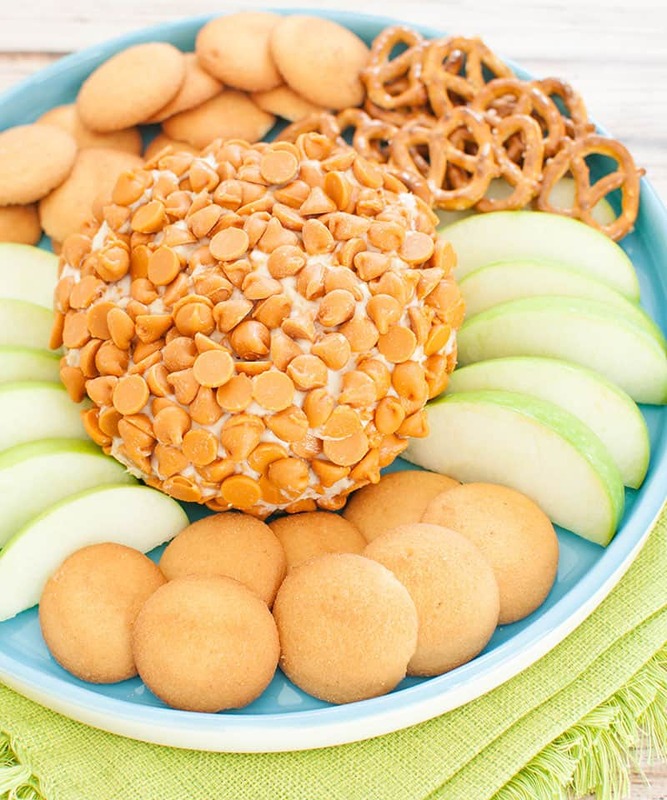 If decorating as a basketball, place cheese ball on a plate. Press baking chips into the cheese ball and use chocolate chips to make the black ribs around the ball. 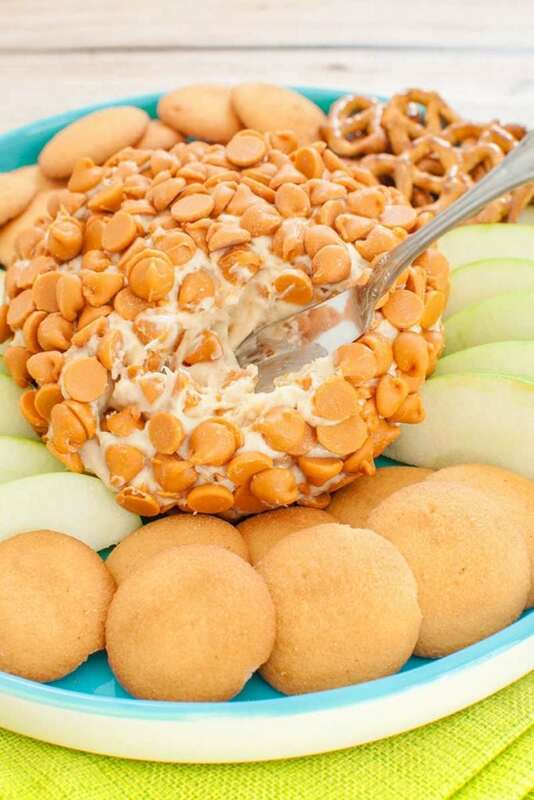 Otherwise, simply roll cheese ball in caramel baking chips until covered.